Arabs break into the IDF's Shivta Camp, stealing equipment and uniforms - but not weapons. Arabs broke into the IDF's Shivta Camp on Thursday night, stealing army equipment. The thieves broke the lock on one of the camp's gates, entering and stealing logistical equipment such as uniforms, army coats, and army boots. They did not steal weapons or ammunition. Some of the equipment they stole was found in an open field near the base. Israel Police have opened an investigation. The Negev's Shivta Camp includes an Artillery Corps training center, where the Artillery Corps' basic training and part of their specialized training are held. It also includes an advanced training park, a general IAF commanders' course, and other courses. 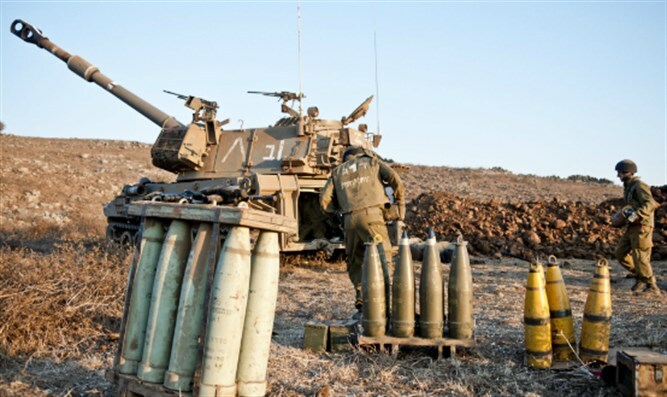 Last January, the Knesset's Foreign Affairs and Defense Committee held a meeting on dealing with the thefts from IDF bases and firing ranges. At the discussion, someone pointed out that in the past two years, the IDF's ground forces have seen fifty such thefts occur annually. IDF Chief of Operations Aran Uliel, who is responsible for securing IDF bases, said "reservists who come to serve should not have to find themselves victims of violence or crime, but we need to remember that the IDF is not the body responsible for dealing with crime." "As a former reserve commander, at every briefing, we emphasize soldiers' personal responsibility for their equipment." Uliel also described how the IDF invested millions of shekels in order to create infrastructure that would make theft more difficult. Police Superintendent Ronen Shai, who represents Israel Police's intelligence unit, said that police and IDF cooperation as at an all-time high, and said, "These are usually criminal organizations searching for standard IDF weapons, and not homemade 'Carlo' guns like they use in Judea and Samaria. If in a classic criminal incident, you place an emphasis on catching the criminal, here the emphasis is just as much, if not more, on finding the weapon. And the smaller the theft is, the harder is is to find the thief." "It's important to remember that firing ranges are huge, and you can't know where the thief left from. He usually [also] has an all-terrain vehicle. The police cannot place a guard at the base parking lot for an entire week of training without harming other activities which are no less important."